75g sachets are specifically measured to suit the 2.2L airpot system or 8 Cup plunger. Foil-coated packet locks in freshness. 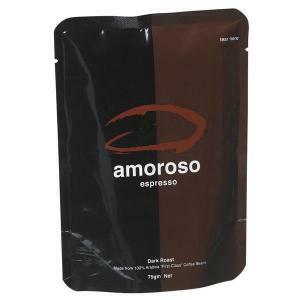 Amoroso ground coffee is packaged in a foil-coated plastic packs to lock in the freshness and ensure that the quality remains through and through. The grind is ideally suited to plungers and filter coffee machines. The 75g sachets are specifically measured to suit the 2.2L airpot system. Exclusive to Staples™.